“This is the best thing I did for my old age,” proclaimed Gale McCallum, age 91, about her little cottage in The Hamlet. In 1971 Gale and her husband bought a house on the South End of Lopez – a big old Victorian on Alec Bay Road. They moved there permanently in 1986, when they retired. When her husband died, Gale was faced with living in that big house alone, all the way on the South End. What would she do when she could no longer drive? Would she have to move off of the island? Most of her neighbors in The Hamlet were faced with similar questions as they entered their later years. Among them are Jim, who has lived on Lopez for 35 years; and Lynette, who moved to the island when she was four and has lived here longer than most other Lopezians. 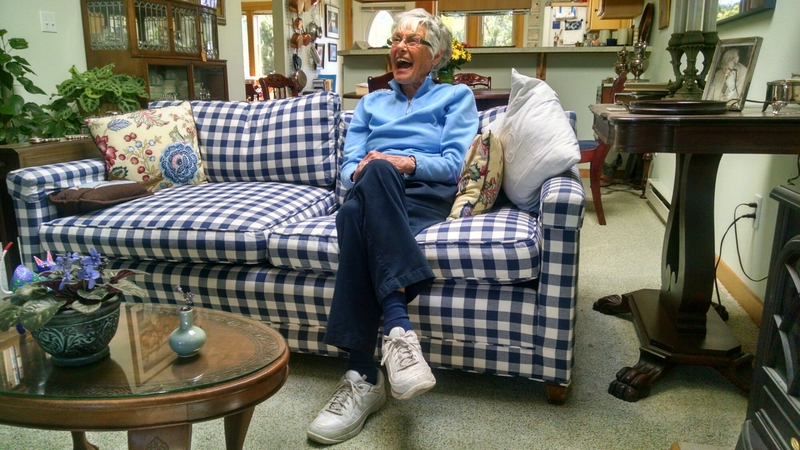 “I don’t know what I would have done if The Hamlet Cottages didn’t exist,” Gale continued, as she shared a bit of her story with me during a recent conversation in her living room. She probably wouldn’t be volunteering at the Library or Grace Church, both just short walks from The Hamlet, which sits “in the heart” of Lopez Village. She also wouldn’t be easily walking to the bookstore, the bank and the pharmacy. Though it seems we’ve had a recent influx of a younger generation, the fact remains that this is a disproportionately older community. 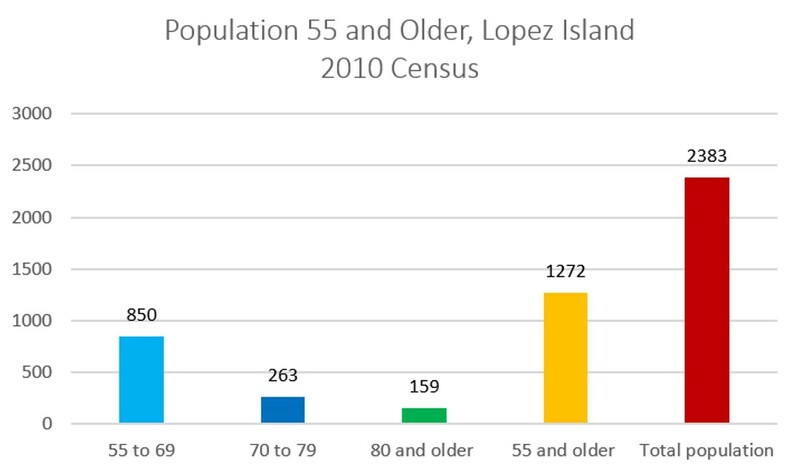 More than half of the population of Lopez is older than 55. Between the 2000 and 2010 census, the percentage of 62-and-over Lopezians grew from 24.7% to 37.3%. In the same period, the median age of the island went up from 48.9 to 56.4. Just a few years ago, there weren’t many options for people if they wanted to continue living on Lopez into their golden years. The island couldn’t easily accommodate many of the needs of an aging population – either through low-maintenance housing or facilities that provide 24-hour care. People were faced with moving away from the community they’d called home for decades, if not their entire lives. Of course, as happens on Lopez, the community came up with a solution. Fifteen years ago several Lopezians got together around Rita O’Boyle’s kitchen table to create a plan for constructing The Hamlet, a 55-and-over community in Lopez Village. The Hamlet consists of 14 rental cottages and a 6-bed 24-hour care facility for people 62 and older. It was completed in 2008. Just like every other Lopez resident, I pass by The Hamlet almost daily, and I wonder what the place is all about. I got together recently with Lorrie Harrison, Executive Director of The Hamlet Cottages, and Nichelle Kelley Sorenson, Administrator for The Hamlet House – to fill in the gaps. Like any organization, The Hamlet has had its growing pains; but it has adjusted along the way. For instance, when The Hamlet opened, residents were required to put a sizeable down payment on their cottages. There was a perception that Hamlet living is out of reach for many on the island. Today, there is no longer a down-payment requirement, and rents have recently come down by about $1000 per month. There’s also been the misperception that The Hamlet Cottages are condos. The units are actually not for sale; they are available as one-year-lease cottages. The same sense of close-knit community exists at The Hamlet House. Nichelle gave me a tour of the house and introduced me to some of its residents. “There’s a lot of life here,” she said. Contributing to that life is Hamlet House resident, Lynette Davis Leaf, who has lived on Lopez on and off since she was four, and whose great grandfather was the first white baby born on the island. The Davises, after whom Davis Bay and Davis Head are named, were among the original Lopez homesteaders on Lopez in the late 1800s. 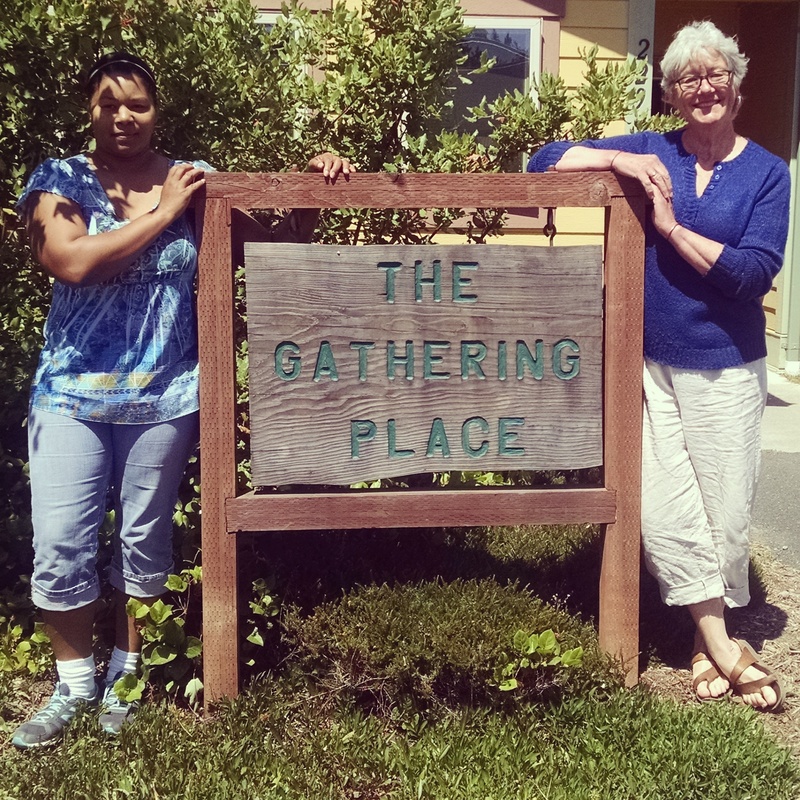 Beyond ensuring The Hamlet is itself a thriving community, Lorrie and Nichelle are focused on making sure The Hamlet is part of the broader Lopez community. They host events that are open to the entire island, including monthly art openings and concerts on the green. For the first time this year, The Hamlet has been accepted for the Lopez Home Tour. And, word has it, the folks at The Hamlet throw a hell of a Cinco de Mayo party. They’re finishing strong. Whether or not you’re contemplating an eventual move into the Hamlet, you might want to check it out. Though the buildings are relatively new, there’s a lot of Lopez history living under those roofs. Lorrie, Nichelle, their respective teams, and the residents would love to have you stop by.